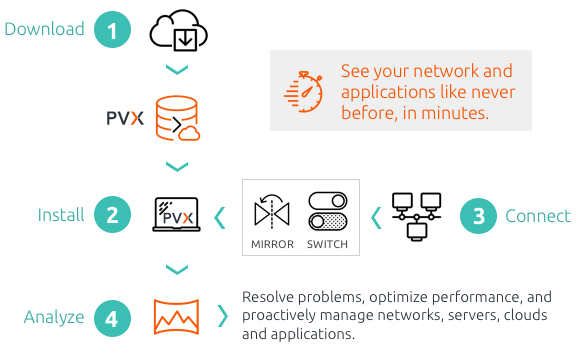 SkyLIGHT™ PVX requires zero configuration to report performance analytics: any traffic that is captured by any appliance—physical or virtual—will be analyzed from layer 2 to layer 7 and across application components, automatically. SkyLIGHT PVX’s user interface is also the most intuitive on the market. See it for yourself with our Guided Demo video!